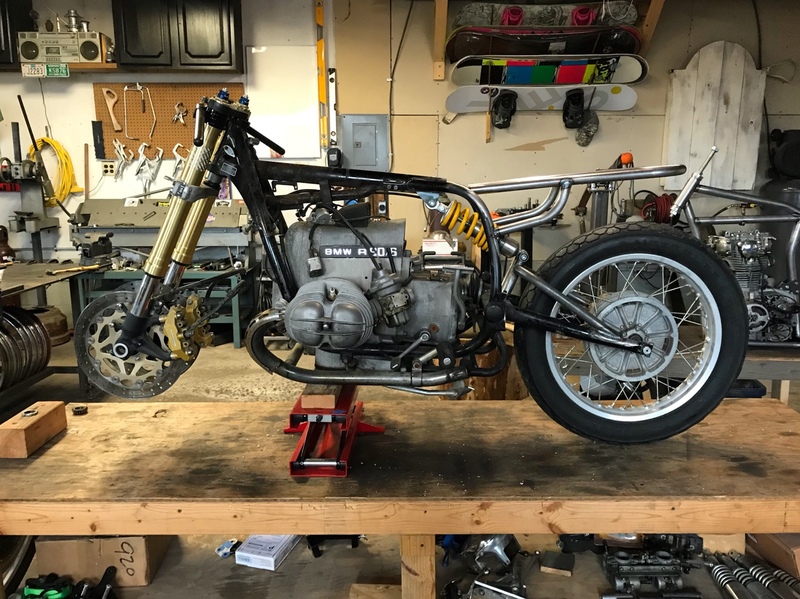 I thought I’d share my latest build in progress with the DTT community. It’s a 1974 R90/6. 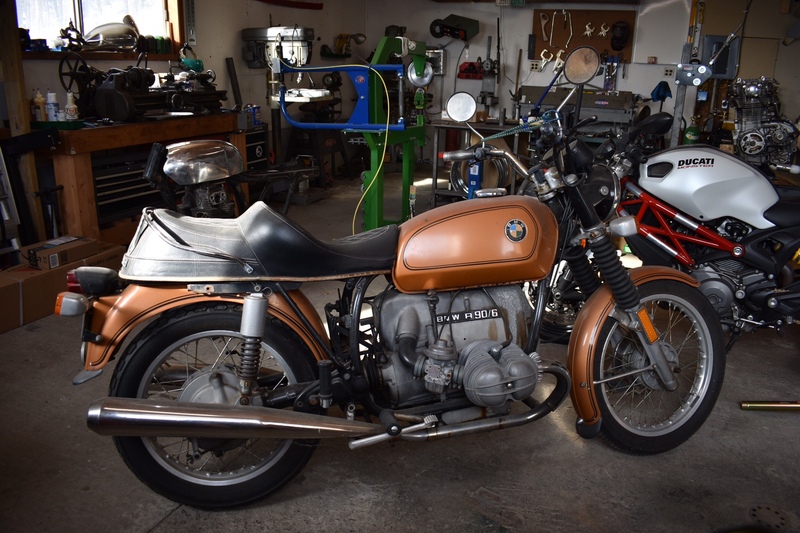 It started off as a nice complete bike, but on closer inspection nearly every part was in poor/rusty condition so not a good candidate for restoration. 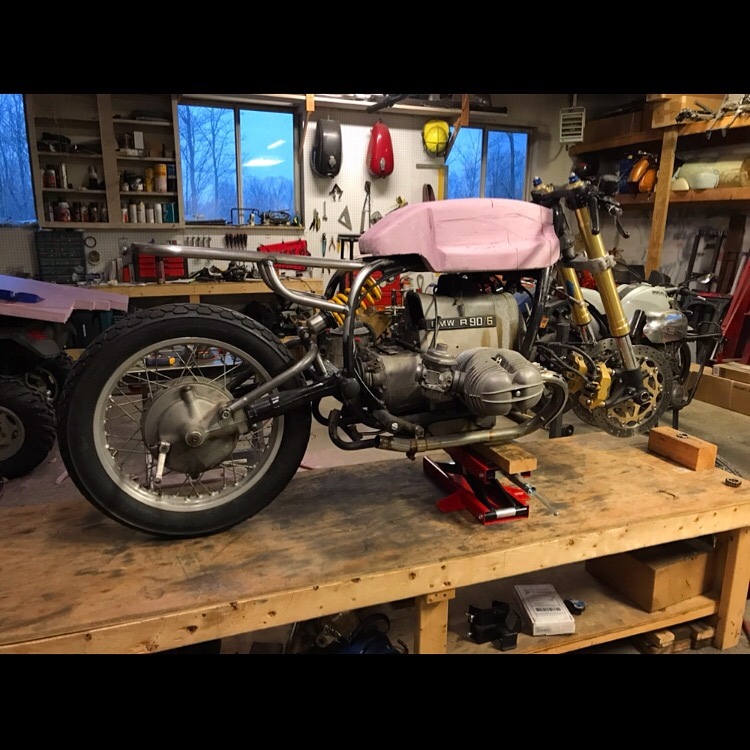 The owner saw some of my other builds at local bike-gatherings, and approached me to do the work turning his BMW into a cafe racer. After chatting a bit, he basically turned the reigns over to me, and I got to work. 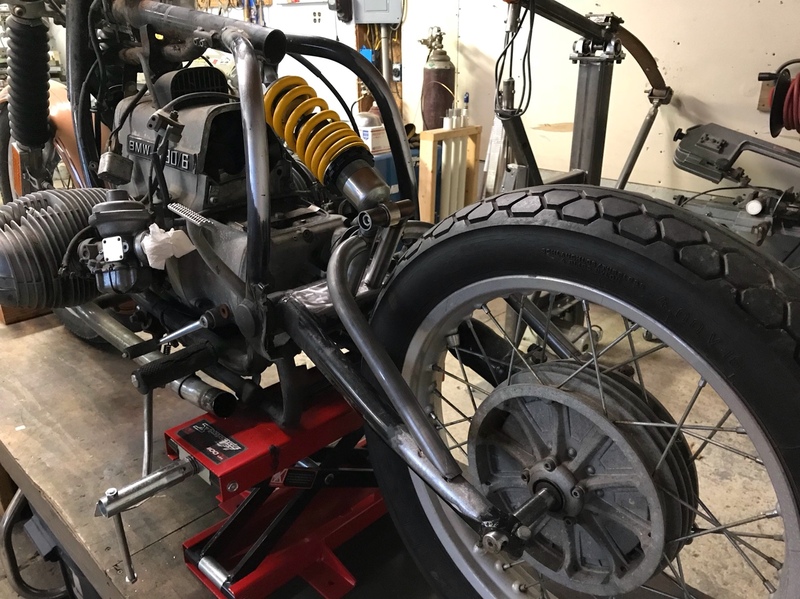 After some tear-down I started on the rear, converting the suspension to mono-shock. 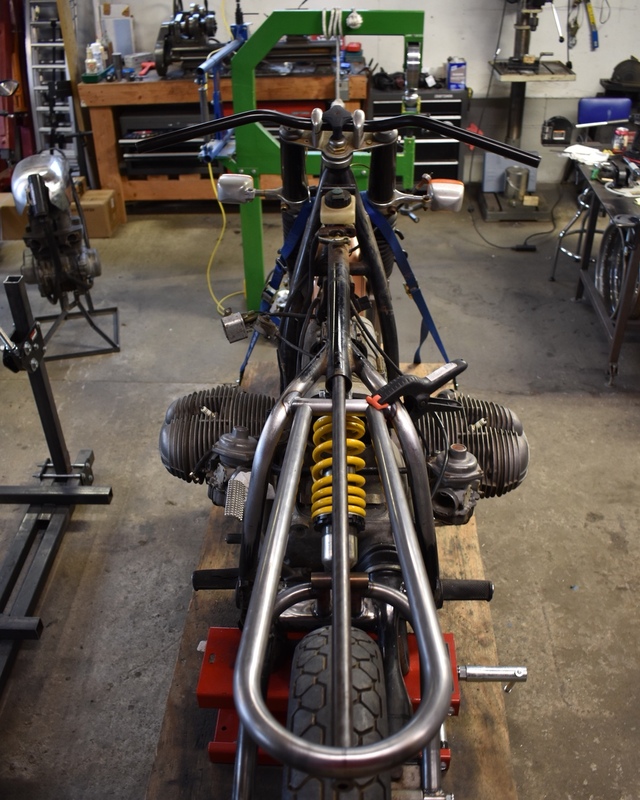 I chose a Sachs shock from a Ducati because it is designed to be used in a straight non-cantilever position, the length will fit without casting the bike too far forward, and the finished weight of the BMW should be close to the weight of the Ducati. The goal here is to increase aesthetics while achieving the same suspension quality as a good set of dual shocks on the stock configuration. These old r90/6’s lacked severely in the front suspension and braking department, so gsxr 600 forks and brakes will be fitted. The bike’s original geometry and fork length built in a lot of trail for long distance cruising. The trail lost by the shorter forks should not be an issue for the sport-type ride we’re going for. 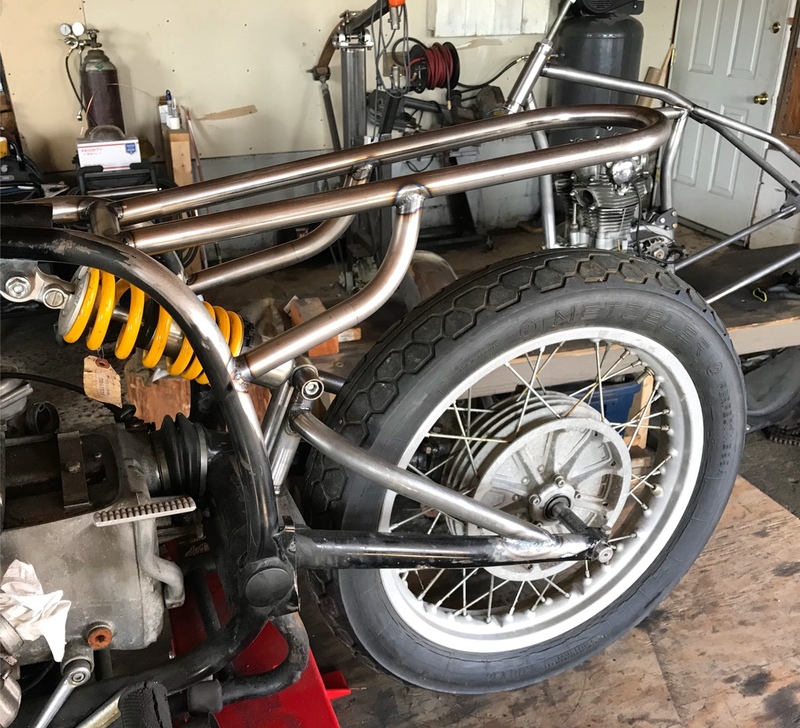 Next I started on the aluminum gas tank design. I’ve always wanted to design a tank loosely based off the Ducati Imola tanks, both because I love the look and it’s a real challenge metal shaping wise. Shaping the tank by hand will be the most time consuming part of the build. I started off by making a foam buck to get a feel for the dimensions. After the buck was where I wanted it, I made my patterns and started bashing aluminum. To make things even more difficult on myself I decided to make the sides from one piece.